Cutting down on customer wait times and improving order accuracy has been a main focus of the company's turnaround over the last year. McDonald's is finally gearing up to launch mobile order-and-pay technology, meaning customers will be able to order and pay for their food from their smartphones, the company told Business Insider. 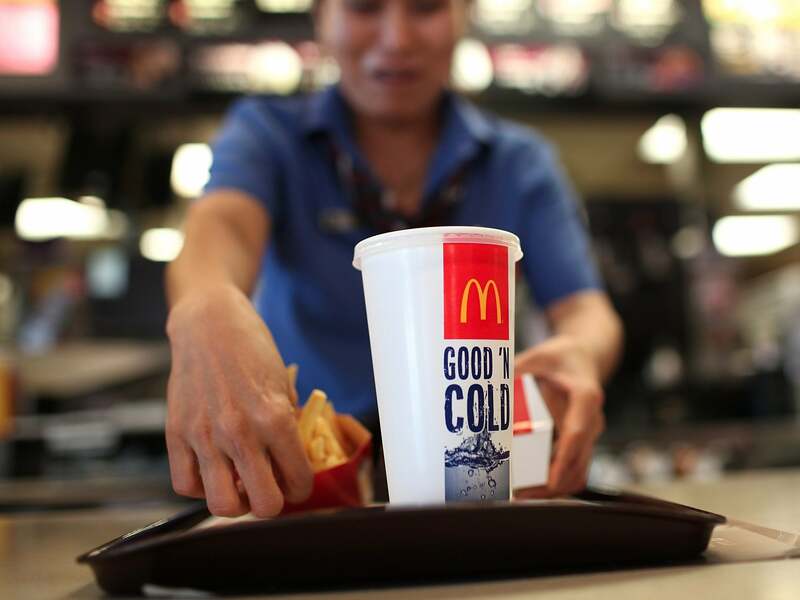 The technology will start rolling out next year in the US and international lead markets, which include Australia, Canada, France and the UK, McDonald's spokeswoman Becca Hary said. By 2018, it will be available at 20,000 to 25,000 restaurants worldwide, she said. Mobile ordering has been a big boon for the fast-food industry. But McDonalds, the biggest fast-food chain in the world, has curiously lagged its peers in adopting the new technology. Companies like Starbucks and Chick-fil-A have seen massive success by offering the service. It benefits both customers and restaurant chains by cutting down on customer wait times and improving order accuracy, among other advantages. McDonald's CEO Steve Easterbrook talked about mobile ordering in July 2015, saying that in the future customers may be able to order ahead with the chain's app and when they arrive to pick up their food, the restaurant will be notified of their arrival via geo-location services tied to their phones. Then the burger chain starting testing mobile ordering earlier this year at 22 locations in Columbus, Georgia, but later ended the test, according to Ad Age. McDonald's has missed out on a big opportunity by lagging its peers on mobile order-and-pay, according to some industry experts. "This isn’t new technology, it’s something that should be fairly standard nowadays," says Neil Saunders, CEO of retail consulting firm Conlumino. McDonald's has ended its mobile order-and-pay test. While McDonald’s still hasn’t rolled out mobile ordering, it has been adding digital kiosks to its restaurants that perform the same functions as mobile ordering, but cost a lot more. The kiosks -- which are in about 7,000 restaurants globally -- cost about $125,000 per restaurant to install. Like the kiosks, mobile ordering allows customers to skip lines at the register and avoid interacting with restaurant employees or exchanging money. This is a key advantage for time-strapped people wanting to grab food on the go -- which describes a majority of McDonald's customers, considering some 70% of them order through the drive-thru. "Many customers dislike the process of selecting what they want, standing in line and ordering, and then waiting for their food," Saunders said. "It is the slow bit of fast food. As we have seen with Starbucks, many would prefer to pick what they want in advance and then come and pick the products up when they are ready." Starbucks launched its mobile order-and-pay program one year ago. About 25% of Starbucks customers now use the company's app to pay for their orders and 6% -- or 1 in 20 people -- use it to order ahead. 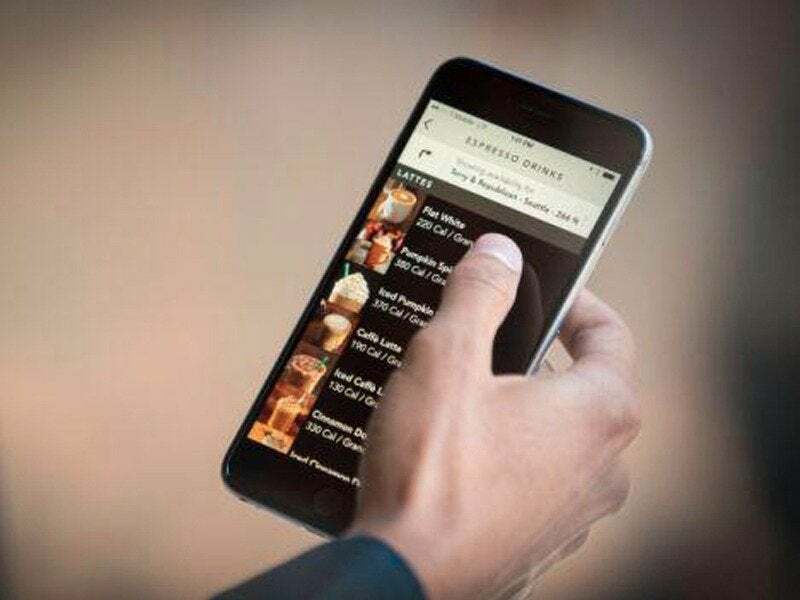 The app remembers customers' orders, making it easier for them to reorder and it's linked with the company's rewards program -- of which there are now more than 12.3 million active members. Starbucks now has more customer money stored on its app and reward cards than some banks, the Wall Street Journal reported earlier this year. Chick-fil-A's mobile order-and-pay app has also seen similar success. Since its launch in June, more than 8 million people have downloaded the Chick-fil-A One app, which remembers customer orders and tailors rewards to their buying habits, just like the Starbucks app. For McDonald's, a program like this makes a lot of sense. And it seems like customers are interested in interacting with McDonald's on their phones. Without mobile order-and-pay McDonald's already has an impressive number of app downloads -- about 14 million, to be exact, according to information that the company shared with Ad Age. Over the long term, mobile order-and-pay could also help alleviate growing labor costs by cutting back on the number of employees needed at the register. "This would be helpful to the company at a time when wage pressures are becoming a heavier burden on the cost line," Saunders said. "It would also give McDonald’s an opportunity to track consumer behavior and buying patterns and stimulate spending with offers and deals." McDonald's says its planning to accelerate its investment in digital, which includes its kiosks and app, over the next two years. "Providing our customers with choice and convenience is an important part of the restaurant experience at McDonald’s," Hary told Business Insider.